Create a beautiful midnight sparkling sky with a few simple supplies! 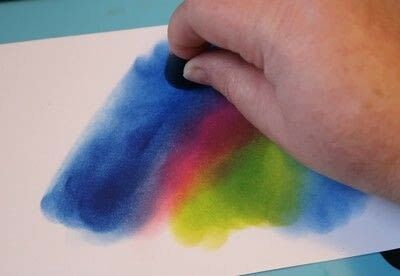 VersaFine Clair inks are so unique because they are a quick drying pigment ink that remains embossable for several minutes after it has dried. Because of this unique property you can take the every day Northern Lights technique to a whole new level of beauty. After all of the inks have been applied and blended you can then add sparkle embossing powder to add the stars to the night sky! 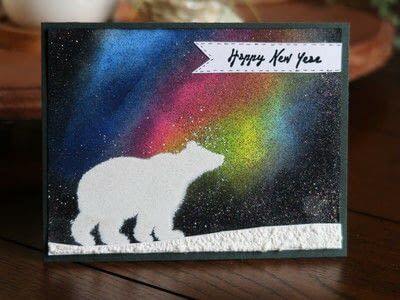 Use a sponge dauber to apply multiple colors of VersaFine Clair inks to a 5 x 6 white card panel blending the inks as you go. Apply Nocturne VersaFine Clair Ink to the edges and blended a bit over the original colors. Sprinkle Sparkle embossing powder over the entire inked panel. 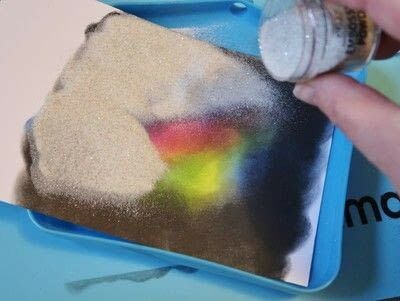 Shake off the excess powder and return it to the jar. Use a heat tool to melt the embossing powder. Let the molten powders cool completely. Stamp desired image(s) over the background. 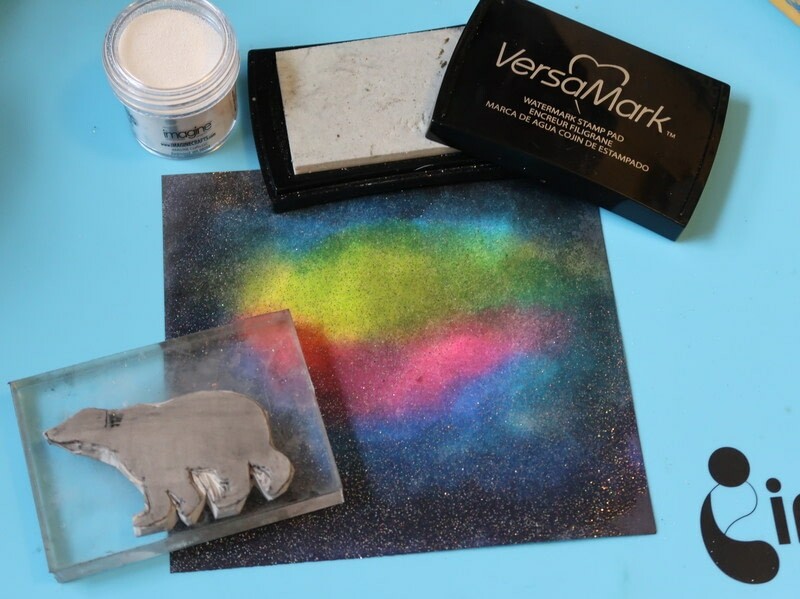 In this example a hand carved polar bear was stamped with VersaMark embossing ink. 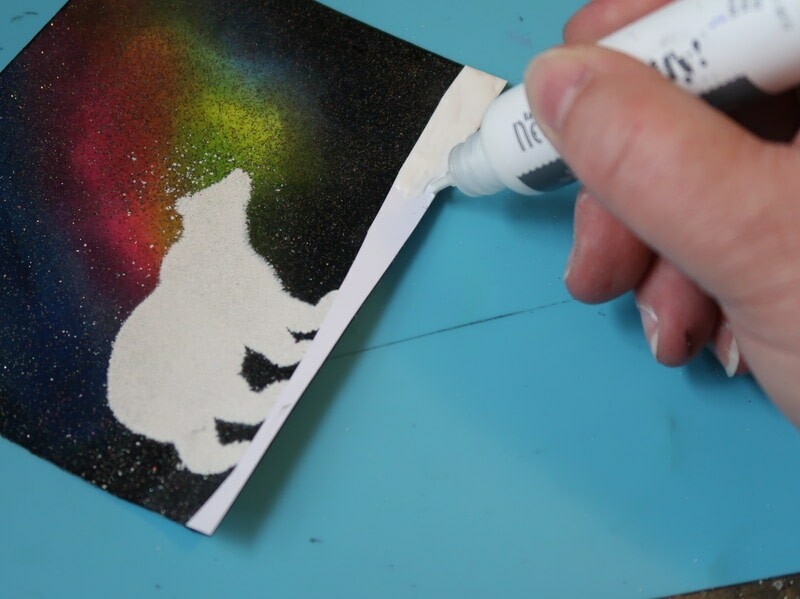 The stamped image was then covered with white embossing powder and melted. Use Amplify! medium to create snow covered ground. 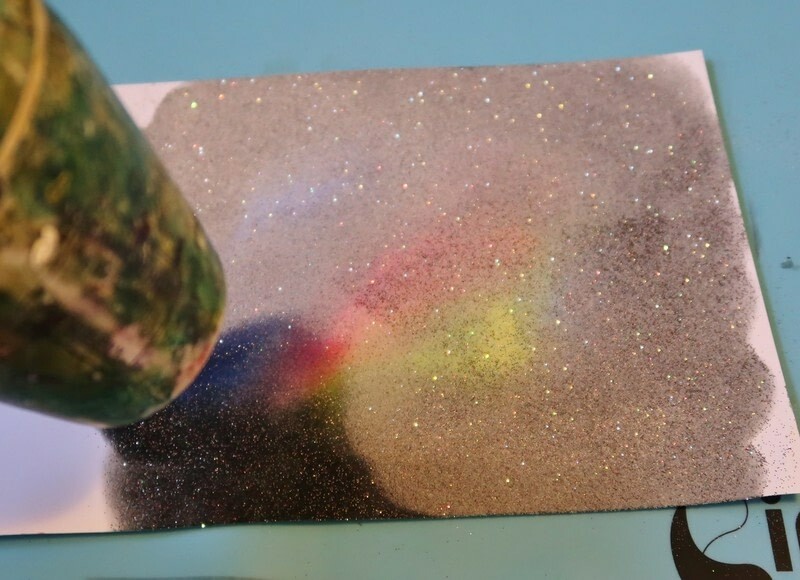 If desired, glitter can be sprinkled into the wet medium. Heat the Amplify! medium to activate. 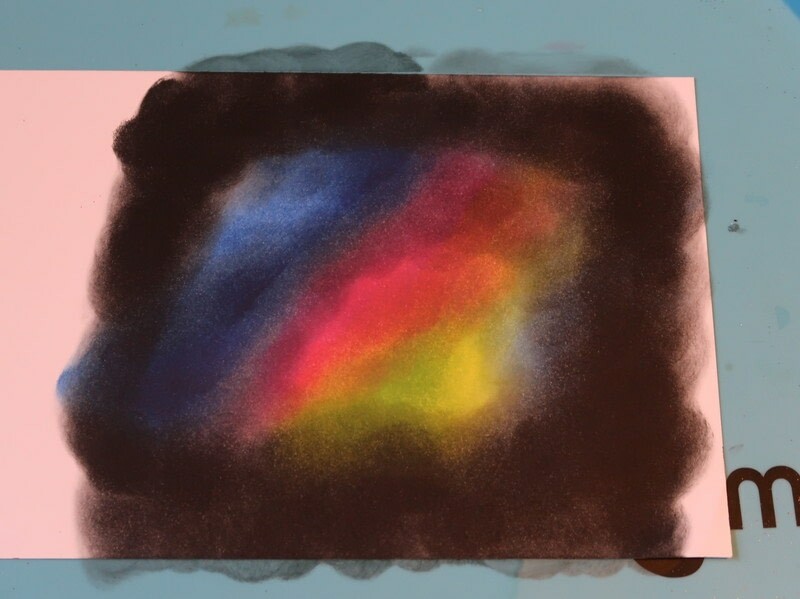 As the medium is heated it will create a puffy 3D effect. Stamp sentiment on a scrap of white cardstock and affix to the card. Mount the panel onto a black card base. 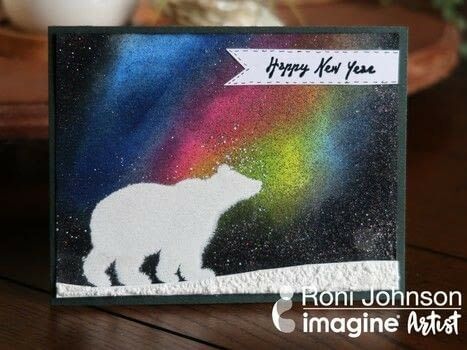 This technique can be used for many different themes and holidays from a wintry night sky, a romantic summer evening, a crisp fall morning and everything in between.